When bathing your baby, remember to ensure they are properly supported and the temperature is suitably cool before you pop them in. Baby Lurve stocks a fantastic collection of protective bathing accessories to keep your little splasher happy at bath time. 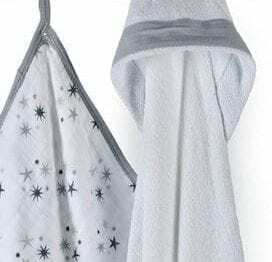 Post-bath, keep them warm and dry with the super-soft range of cute animal towels from Skip Hop which come with hoods too! All products are suitable for new-borns up to young children and have been tried and tested before landing on your doorstep. All baby bathing accessories from Baby Lurve include FREE delivery nationwide.